Lyme Pyroluria: The Missing Link to Finding Your Lyme Cure? Included in the many Lyme disease / MSIDS associated illnesses is Lyme Pyroluria. This is thought by some to be the missing link to healing and getting control over the enemy insurgent microbes inside your body. For some, correcting this imbalance may mean winning the war. It is estimated that 10 percent of the US population is suffering from pyroluria. The depressed, schizophrenics, those with autism, those with alcoholism and ADHD may have have pyroluria in even higher percentages. It is a condition where our bodies give up and dump B6 and zinc. "The most common unknown disorder." 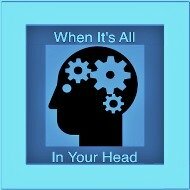 With a lack of available Zinc and Vitamin B6, our deficiencies will compromise our brain, emotional, and digestive health. If we are deficient in B6 and Zinc, our body can also become deficient in magnesium and manganese and develop potentially high levels of copper. The most astonishing number of people affected is one group in particular. It is estimated that 80% of those with Lyme disease have Pyroluria. This means that most likely, whether you have Lyme or Multiple Systemic Infectious Disease Syndrome (MSIDS or any of 20 spirochete infections along with other co-infections including Bartonella and Candida), you may have Pyroluria. If you experienced a treatment plateau or your improvement stalled, you may have Pyroluria. 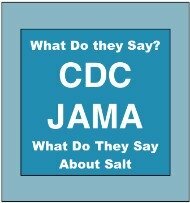 This is a major piece of the puzzle in overcoming Lyme and possibly any chronic disease. This may be one reason why treating chronic diseases successfully has been an elusive challenge for so many. Pyroluria, also known as Kryptopyrroluria (KPU), or more accurately Hemopyrrollactamuria (HPU), "the Mauve Factor" or "Malvaria" because of the resulting color of the test to determine if you have it or not. Unfortunately there is little research in the US on this topic. No doubt this is due to the simple and low cost way to correct it. Without a profit incentive, who will pay for the research? It is mostly in the realm of Naturopathic Doctors and Orthomolecular medicine practitioners. Pyroluria or HPU can be inherited, caused by a childhood psychological trauma or chronic infections such as MSIDS, Lyme's or other infections. Additionally, chronic infections are a most often overlooked cause of this condition. One Lyme Literate doctor found it present in 80% of those he treated with Lyme disease. A theory suggests that chronic Lyme disease becomes opportunistic due to mold related illness or the development of Pyroluria. In other words, the mold infection weakens us, then once chronic, the pyroluria steps in and without the zinc, it is easier for the Lyme or any of the 20 spirochete or other bacteria insurgents to take over. What they take over is often the weakest organ, system or part of the body. This results in the biotoxins produced by MSIDS, Lyme disease microbes or the Lyme co-infections block one or more of the eight enzymes that play a part in iron synthesis in the making of blood inside our body. 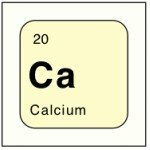 This causes a further loss of essential minerals or a failure to assimilate the necessary minerals that our blood cells require to work properly. This is a big problem when it comes to our white blood cells. It makes them like guns without bullets. It can in effect can turn off much of our cellular immunity. It would also be easy to see in dark field microscopy. 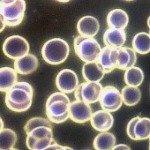 The white blood cells would simple not be properly formed or would not look like they were working under the microscope. The red blood cells would likewise be compromised in numerous ways. Note that this is only one piece of the puzzle as to why they may not work, but it may be a big piece. Your symptoms may be anywhere from mild, moderate or severe depending on how imbalanced you are. The signs and symptoms are the same for zinc and/or B6 deficiencies and ironically, if you have Lyme / MSIDS, you are probably experiencing these symptoms. This is why we call it Lyme pyroluria. Most of those with pyrolurics will have at the minimum, two of these symptoms. One problem symptom in particular, the inefficiency of the creation of serotonin and melatonin, GABA, and acetylcholine. Serotonin is the neurotransmitter that helps reduce anxiety and depression. Melatonin is the sleep hormone. GABA is our calming hormone. Acetylcholine is our hormone that does housekeeping). The vitamin B6 plays an important role in how the body makes these hormones. Interestingly, people with this condition tend to benefit from selective serotonin reuptake inhibitors or SSRIs. These include Prozac, Paxil, Zoloft, Celexa and others. Each also have negative side effects that cause many to want to stop and avoid them. More importantly, the actual cause of the mental health challenge is not corrected. The symptoms are treated rather than the cause. 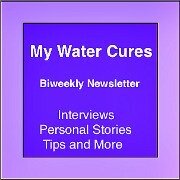 Since in many cases, the Water Cures protocol alone can help with these conditions, it begs the question, is there a connection with this and hydration? It is noteworthy that many times, those who have pyroluria tend to have frequent infections. They may have an inability to tan or burn easily, experience poor dream recall and have a sensitivity to light and or sound. Further complicating matters, they have poor diets, often eating processed foods that have less of the nutrients they need to maintain optimal health. You can test if you have it or not. It should be noted....if you already take zinc and B6 as recommended by Dr. Batmanghelidj from almost 20 years ago, this test will not be as effective. However, if you have Lyme / MSIDS, you may need more B6, Zinc and other nutrients than the basic protocol recommended. To start: sit in a room where you can be quite and relax for 30 to 45 minutes. No TV or radio. 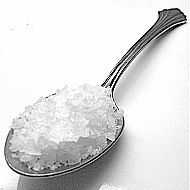 Take 25 mg of B6 as you drink four ounces of water and a pinch of unprocessed salt. When the mental abilities come back, it has been described as 'the lights were turned on again.' This is ironic as lights may actually appear brighter due to a dilation of the pupils, making things appear brighter. How Much B6 and Zinc to Take? According to a study led by Dr Walsh in 2010 (Journal of the Australasian College of Nutritional & Environmental Medicine), targeted nutrient therapy may provide the most effective treatment for pyroluria. So, those doing this generally use the following protocol. If you weighed 150 lbs, you would take 50 mg of B6 three times a day. You will adjust this up or down based on your results. If you weigh more, as do many due to the Lyme co-infections, it may be necessary to increase the amount. Going up, you may want to increase it by 50 mg. Going down, it may be necessary to split the B6 supplement in half to reduce the amount you get. Additionally, magnesium 350 mg and zinc 15 mg - 3 times a day (we prefer the food grade zinc) at the same time as the B6. These work best in combination. Too much B6 may lead to bad and even irreversible consequences. It is best to get a medical diagnosis before treating, especially with B6. Overdose is considered to happen when you take 100 to 500 mg a day for long periods of time. 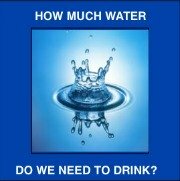 The water and salt you take using the Water Cures protocol will help prevent any unwanted complications and B6 toxicity. It is essential that such a treatment be part of a comprehensive plan created by a healthcare professional. Literature suggests that if you have mild to moderate pyroluria, you may have a fairly rapid improvement with treatment...that is, if there are no other chemical imbalances are present. The Water Cures Protocol will help this process work even better as it both provides the mineral support and helps flush out chemical toxins that cause imbalances. If your Pyroluria is severe, it has been suggested that it may take several weeks to see improvement and may take several months to recover. 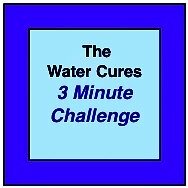 However, in our observation, those who follow the Water Cures Advanced Protocols often notice dramatic improvement in overall health within 120 days, or the length of time it takes for blood to be recycled. Symptoms may recur within 2-4 weeks of stopping the nutritional support. Thus, along with the Water Cures Protocol, the need to maintain supportive supplements will be necessary indefinitely. If stress, injury or illness occurs, relapse may occur. Should this happen, It may be necessary to go back on a rescue dose of the supplements. Symptoms of Lyme Disease: A comprehensive review.